Are you looking to put more focus on Instagram in 2018? If you are, here are five tips to help optimize your Instagram presence, and ensure you make the most of your opportunities on the platform. Instagram has always been big on hashtags, and they’ve always been an effective way to expand your reach on the platform (note: you can add up to 30 hashtags per post). 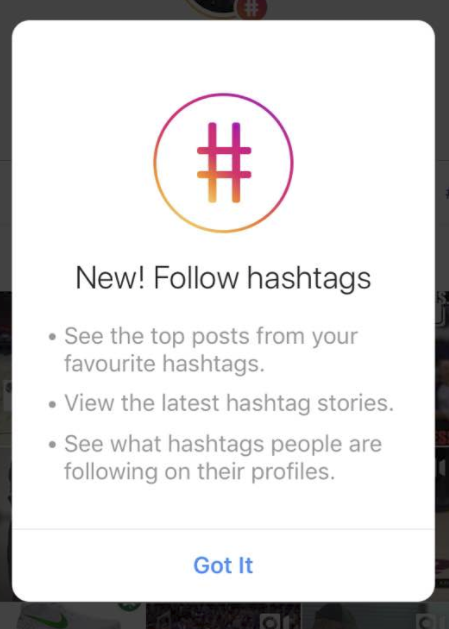 But now, there’s a new consideration in your Insta hashtag strategy – as of December, Instagram users are now able to follow specific hashtags, along with profiles, meaning that they can keep tabs on relevant conversations by using hashtags alone. The ability to follow hashtags adds a whole new element to your strategic considerations. Now, you have another way to reach new audiences by using targeted hashtags, and another way to expand your brand messaging by promoting your branded tags. 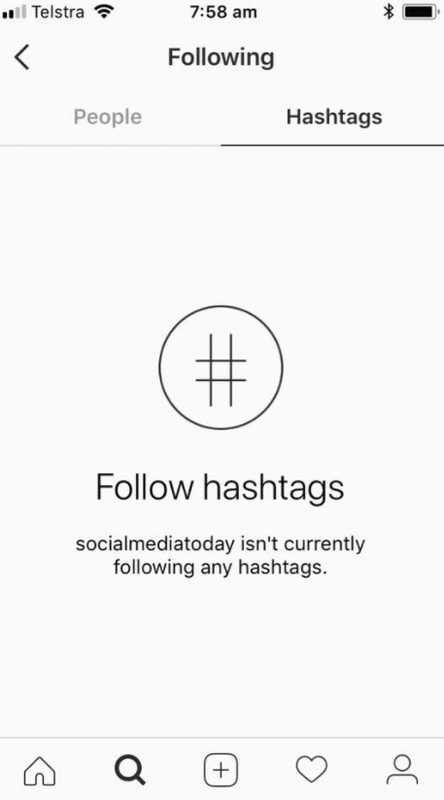 For example, while Instagram doesn’t (yet) show a listing of how many people are following a specific hashtag, it does now list the hashtags each user is following on their profile, under the ‘Following’ tab. It takes some extra work, but you can use this to find a focused list of hashtags to include, in order to ensure you reach your target audience. To do this, check out the individuals you want to reach, go through their profiles and compile a listing of relevant tags that those users are following. Ideally, you’ll find some consistent tags among your target audience, helping to maximize your reach. Given the functionality is very new, this likely won’t yield an extensive listing as yet, but over time, by keeping tabs on relevant audience members, this could help you stay on top of the most relevant tags to help boost your exposure among the people most likely to become your customers. You can also encourage your audience to follow your branded hashtags, which could prove particularly valuable for events, helping improve coverage and participation. 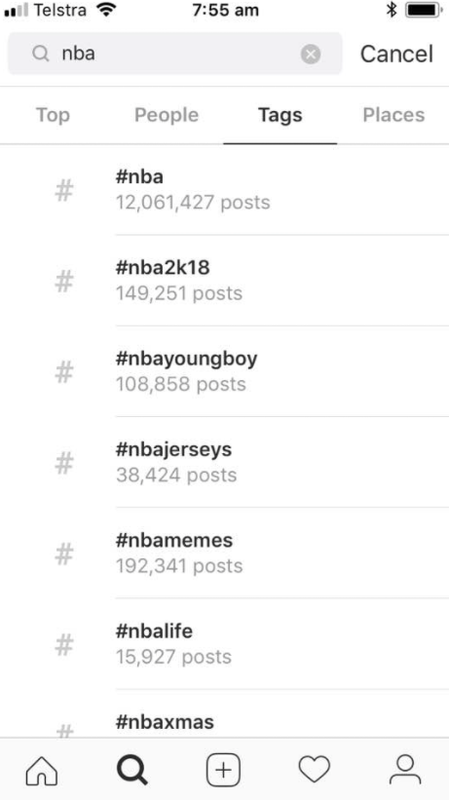 Worth noting too, to help further optimize your hashtag strategy, Instagram also highlights related tags within its search options, along with usage volume. This is invaluable data, and can greatly help improve your Instagram hashtag strategy – which, as noted, is key in optimizing your reach. The other consideration is where you use your tags – do you put them into your image caption, or add them into the first comment on each post? Your best bet is to research the hashtags being used by your target audience (not just the most popular ones) and then test them within your own posts. But either way, it’s worth integrating Instagram’s new hashtag options into your broader strategy. This one’s a little more complex, but the numbers don’t lie. Over time, more and more people are interacting more often within direct messages – in messaging apps more broadly, but also on Instagram itself. According to Instagram, more than 375 million people now use Instagram DMs each month – almost half of their entire user base. The increased focus on DMs has lead to Instagram adding a range of new DM–specific tools, including their photo remix tools, the ability to share Stories via DM and – importantly for brands – the capacity to include links in DMs. But then again, direct messaging is still seen by many as a channel for personal connection, brands are not always welcome in people’s inboxes. Indeed, Instagram’s data shows that 85% of people’s Direct Messages go to the same three friends, which likely suggests it’s not an immediate business connection opportunity. But still, the increased emphasis on DMs, and their rising usage, does point to an opportunity for savvy marketers to merge their interactions across to the more private, direct connection tool. 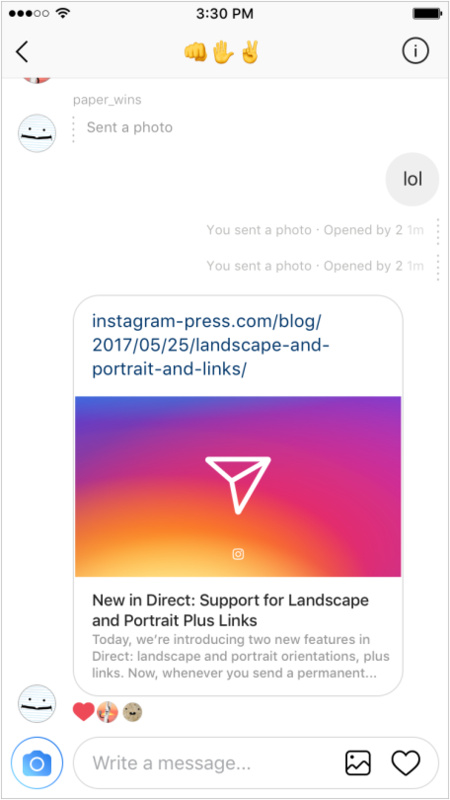 Maybe you need to consider customer workflows which transition into people’s Insta DMs, maybe the integration of links within messages provides new capacity to extend customer conversations. It’s not a clearly defined path for brands, but with reports also suggesting that Instagram may be looking to split DMs into their own, dedicated app, the opportunity is there to boost connections with your audience, when done in a considerate, measured manner. Instagram Stories has also grown at a rapid pace, doubling its audience from 150 million daily users in January last year, to 300 million in November – and far out-pacing the growth of Snapchat (178 million DAU), from which the function was essentially copied. If you’re looking to utilize Instagram, you need to be considering Stories. As more and more people become aware of the Stories format, the potential value of the option continues to increase. 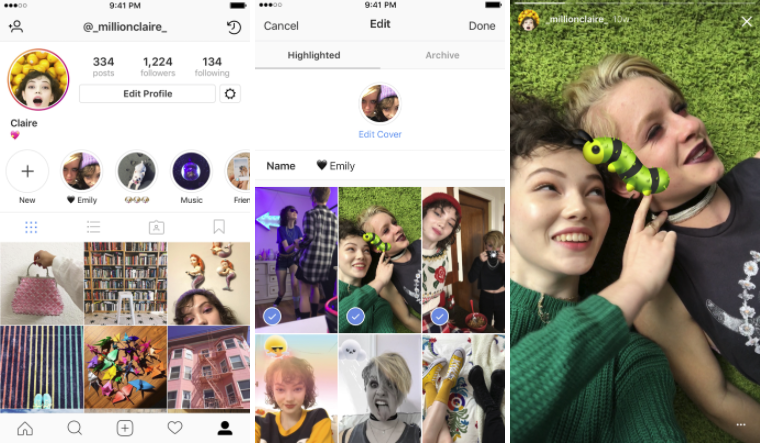 What’s more, Instagram upped the value of Stories in December by adding in their Stories Archive and Highlights functions. These new tools will enable users to keep their Stories content indefinitely, and display them in a new section on their profile, maximizing their use. Highlights will be of particular benefit for brands, as it will enable them to showcase specific Stories posts from events, related to products, highlighting customers, etc. There’s a range of ways in which the tool can be used, while the capacity to have Stories last longer than 24 hours will also encourage further investment. Additionally, Instagram’s also added the ability to cross-post Instagram Stories to Facebook (not rolled out to all users as yet) – which, by extension, now also means you’ll be posting to Messenger Day as well (as Facebook Stories and Messenger Day have now been merged). 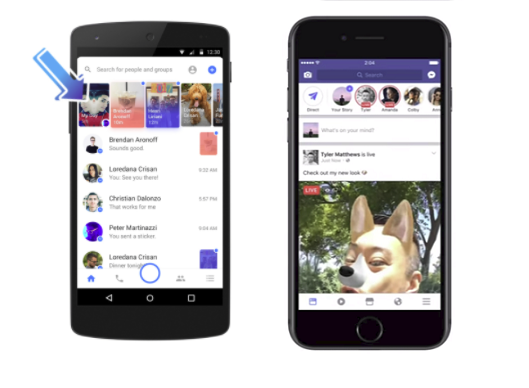 Facebook Stories and Messenger Day haven’t proven as popular as Instagram Stories, but still, the increased exposure potential – appearing in a prime area, right at the top of people’s Facebook and Messenger apps – is definitely worth considering. It is worth noting that some have reported issues in formatting, with Instagram Stories content being cropped to fit into the Facebook/Messenger Stories feed, but still, it may be worth experimenting and seeing if it yields results. While Instagram has changed a lot in the past 12 months, it’s important to note that it’s still a visual channel, it’s still important to consider the composition if your images, and your visual consistency when posting. Having a clear visual strategy is key to standing out – you should ensure that you’re aware of image composition best practices and examine which types of layouts and formats work best within your niche. More than that, the wider theme of your visual style should also stand out, with a consistency to your posted images, through the colors you use, the filters, and – if you use them – text overlays and the like. 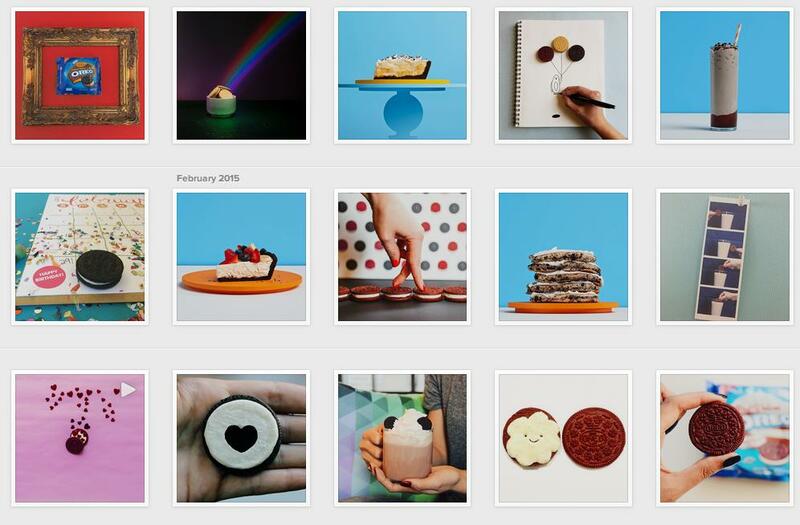 For example, check out Oreo’s Instagram presence – their images have a clear style that can easily be identified, which helps them stand out in user feeds. Focusing on creative, imaginative images, and on great composition, will help boost your Instagram performance, likely more than anything else. While it’s tempting to focus on newer tools like Stories and effects, keeping a core, visual approach in mind is key to optimal success. And this final one is also something which may not be for everyone, but tapping into Instagram’s live-streaming feature can be a great way to boost your presence. 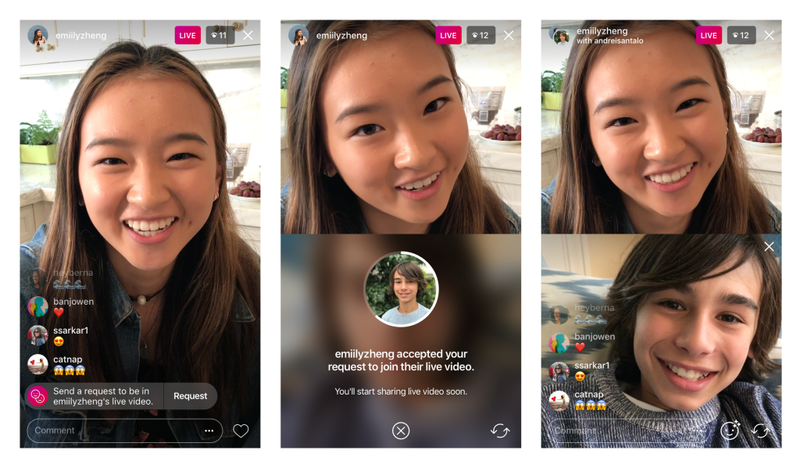 Added in late 2016, Instagram’s live feature has slowly evolved, and they’ve continued to add new innovations and options to make it more appealing. One of the more recent developments has been the addition of their ‘Live guests’ option, which enables you to go live with someone else – with a specific notification in the top line listing when this happens. That added exposure provides new promotional opportunities, while the ability to have guests on your live-stream can also help ease the broadcasting process, making it less intimidating, and enabling you to add more context – be it through conducting an interview, a Q and A session, etc. Q and A sessions, in particular, could be an interesting option for brands, with Instagram adding ‘Live Requests’ in November, enabling viewers to ask to join in on a stream. There are, of course, risks with live-streaming – it’s live, so your editorial capacity is limited. 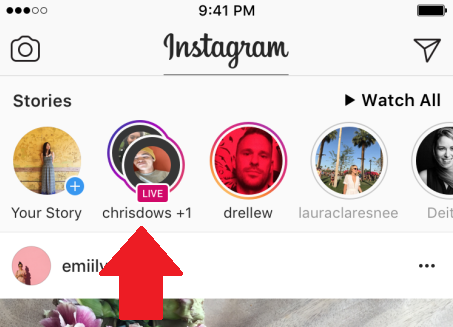 But given the prominent listing of Instagram Live broadcasts – both in user feeds and within Explore (where there’s a dedicated ‘Top Live’ Story pinned to the top of the page) – it’s a significant opportunity for exposure. Used well, Instagram Live could give your platform strategy a significant boost. These are five ways you can make better use of Instagram in 2018, tapping into the platform’s latest innovations and tools to maximize your presence. As noted, competition is rising – there are already more than 25 million active businesses on the platform – so you need to do what you can to stand out. But as the platform grows to become the next billion-user network, the value in getting it right could be significant.